SQUEEZER 63 is a manual tool. 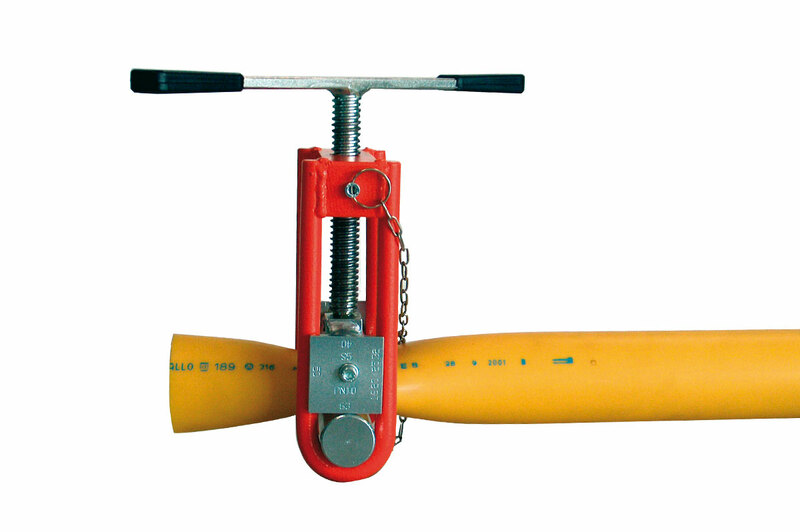 Easy and fast to apply, the SQUEEZER is useful in the worksite to stop the gas or water flow in the Polyethylene pipelines from Ø 16 to 63 mm / SDR 11; SDR 17. The squeezing action runs by a movable cylindric bar and by an opposite one. 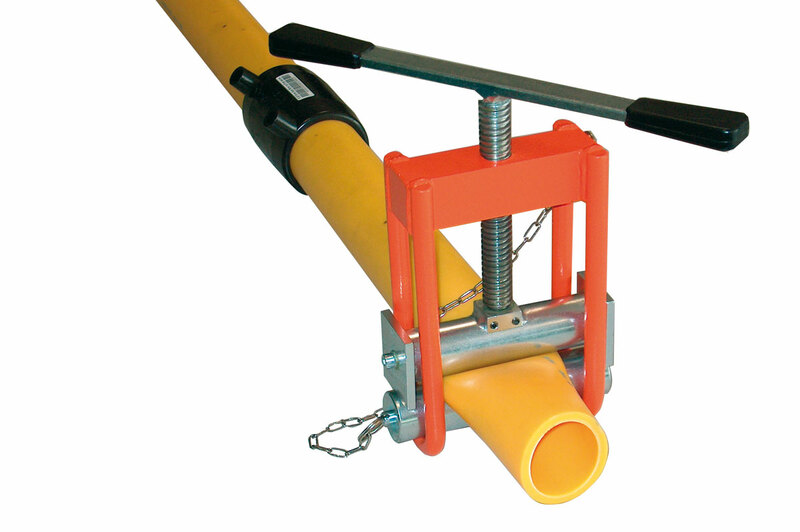 The second bar can be removed to permit the pipe insertion. Two special stop templates with 4 positions (on the movable bar sides) assure a safe pipe squeeze on all working range diameters.